In our prior post about our Wee Heavy Scottish Ale, “My Naughty Little Pet” (Part I), we had just concluded a very long brew day brew day and the Edinburgh Yeast was added to the freshly brewed wort. Let’s start from there. It is said that brewers make the wort and the yeast make the beer. True That! Since we were making an ale, the wort had to be maintained at a constant temperature of 68 F (20 C) for about two weeks. Since fermentation produces a substantial amount of heat, the tanks must be cooled constantly to maintain the proper temperature. Once it was decided that the fermentation was nearing completion, we took a gravity reading in order to gauge the level of alcohol and to taste the beer for the first time. We then decided to transfer 10.5 gallons from the fermentor into a cask containing oak spirals previously soaking in bourbon whiskey and cocoa nibs. The fundamental distinction between cask and other ales is that the yeast is still present and living in the container from which the cask ale is served, although it will have settled to the bottom and is usually not poured into the glass. Because the yeast is still alive, a slow process of fermentation continues in the cask or bottle on the way to the consumer, allowing the beer to retain its freshness. The beer remaining in the fermentor was allowed to finish fermentation and was then force carbonated and kegged. Both the cask version and the keg (draft) version of “My Naughty Little Pet” clocked in at nearly 9.5% ABV. Although these were hefty beers in terms of alcohol, they were so well balanced with flavor, aroma and mouthfeel, that they were easy to consume and how they ultimately gained their reputation as “naughty” pets. We had so much fun sharing both versions of “My Naughty Little Pet” at the Classic City Brew Fest on April 7th, while talking up the Athentic Brewery launch to all our fans and friends. 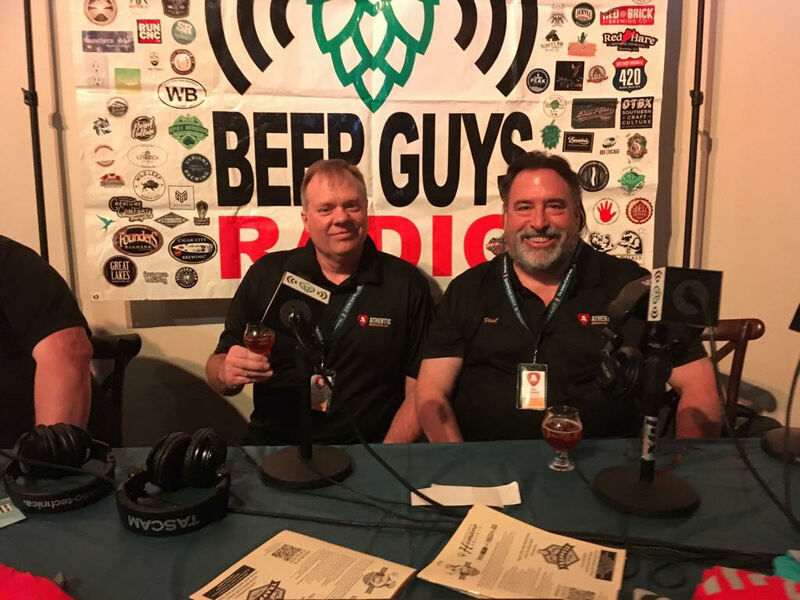 We even got to chat on Beer Guys Radio with hosts Tim Dennis and Brian Hewitt. In all, it was a great day for Athens and Georgia Craft Beer. Cheers to Owen Ogletree and his Team for another great Classic City Brew Fest!